Built in 1939, at Bethlehem Steel Shipbuilding, Sparrows Point, MD., for the Mobil Oil Co.
67k SS Mobilube underway soon after completion in 1939. Note the Mobil flying horse stack marking. 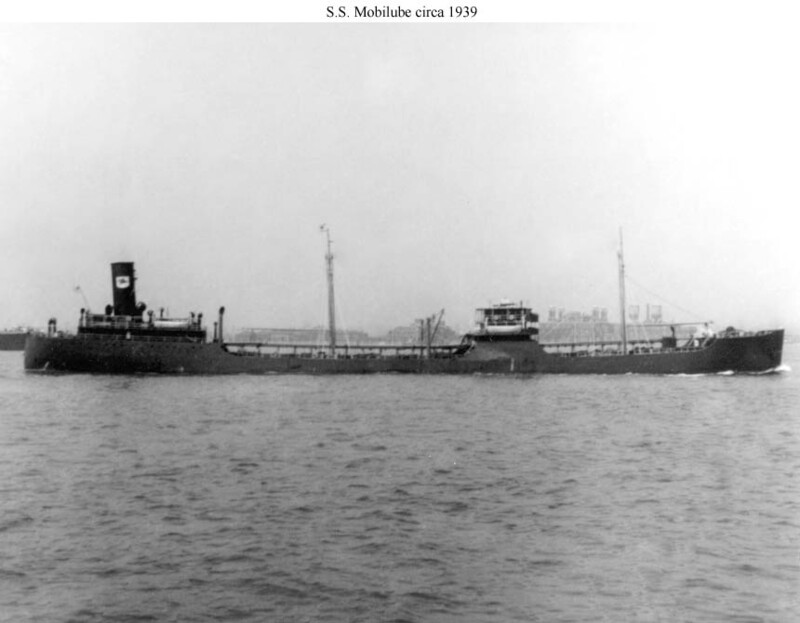 SS Mobilube took a torpedo in her engine room off Australia in January 1943 and was acquired by the US Navy for use as a floating oil storage facility under the Navy designation YON-164. The tanker was restored to full service as a tanker after World War II.